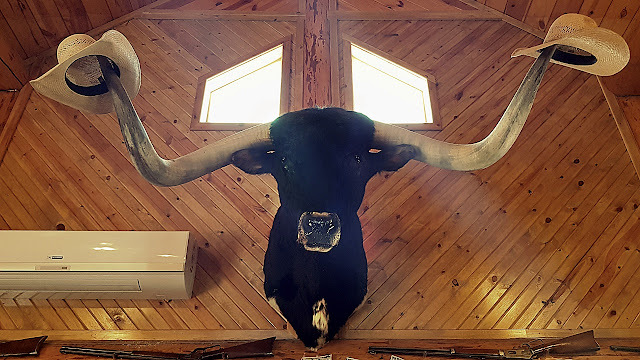 Now that is a Texas longhorn! 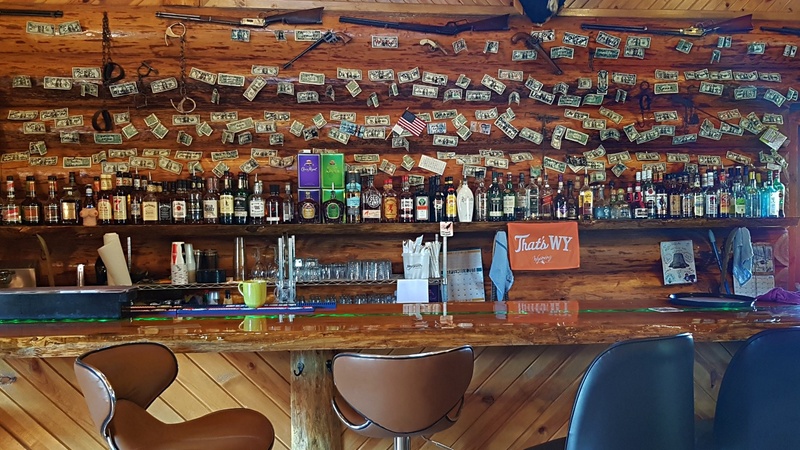 Not far from Devils Tower in Wyoming, we discovered this Western bar that was so perfect that it could have been a movie set. 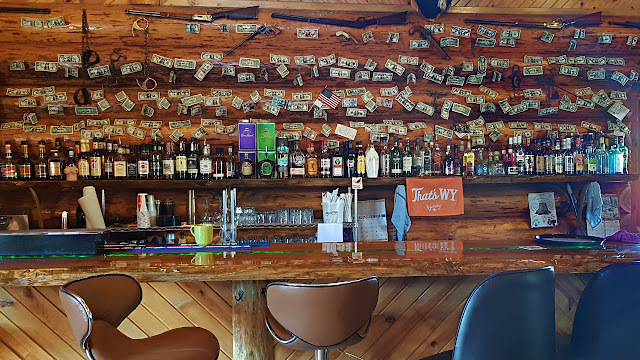 Behind the bar the wall was plastered with currency written over with notes of appreciation.